Our striped artificial grass goes by the name Soft Stripe 40mm. The name is perfectly sums up what this grass is about, it’s soft to the touch and the stripes are subtle and natural looking. Having fake lawn with stripes has historically been quite a tricky process, normally involving cutting individual strips and taping them together in alternating directions. 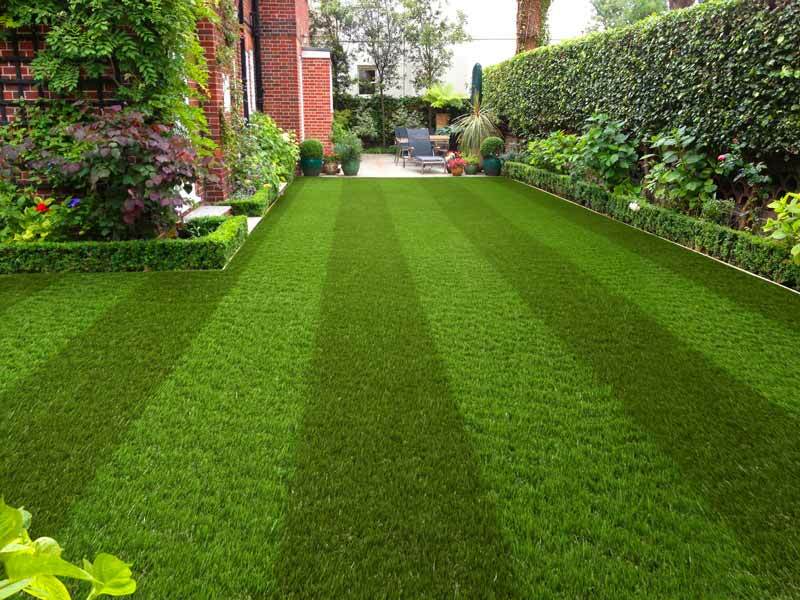 Our stripey fake lawn comes pre-striped using delicately contrasting yarn every 50cm. This produces a highly convincing finish that still allows the pile to run in the same direction to avoid light reflection differences. Stripes aside, the quality of the grass itself is outstanding and offers a dense, cushioned pile and a healthy looking 40mm pile height.